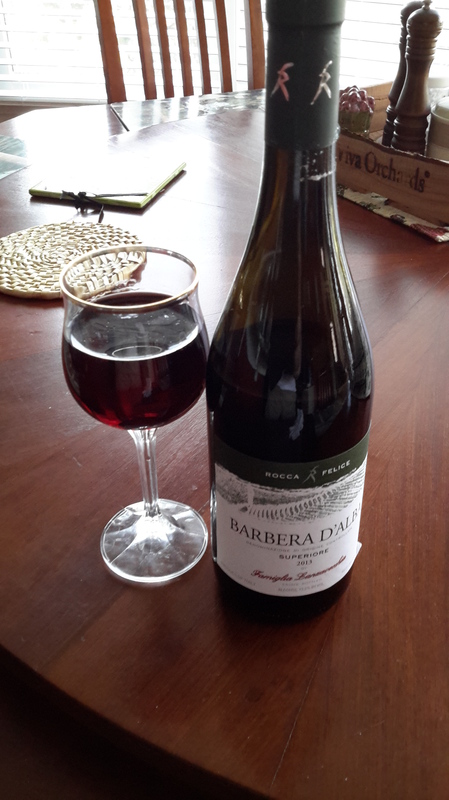 Rocca Felice Barbera d’Alba Superior, sounds like a great Italian action movie doesn’t it. I am on an Italian wine kick. Remembrances of my visit last year. Italian wines are the up and coming thing. You like Bordeaux, you like California cabs, how about Pinot Noir. Italy has it all and more. You must try some of Italy’s best. Back to the wine of the night. This Barberad’Alba has a rich ruby color. Not a dark ruby like in a gold setting, but the ruby color you get when you hold a raw stone to the light. ( yes I worked with gems in a previous career). The fruit hits your tongue and instantly your mouth begins to shudder. The rich barbera grape attacks your sensitivity and you are in a place of bliss. So much red fruit flavors, cherry, raspberry. Hints of plum, vanilla and cinnamon follow right along behind. A medium finish that lingers around long enough to give you desire for more. 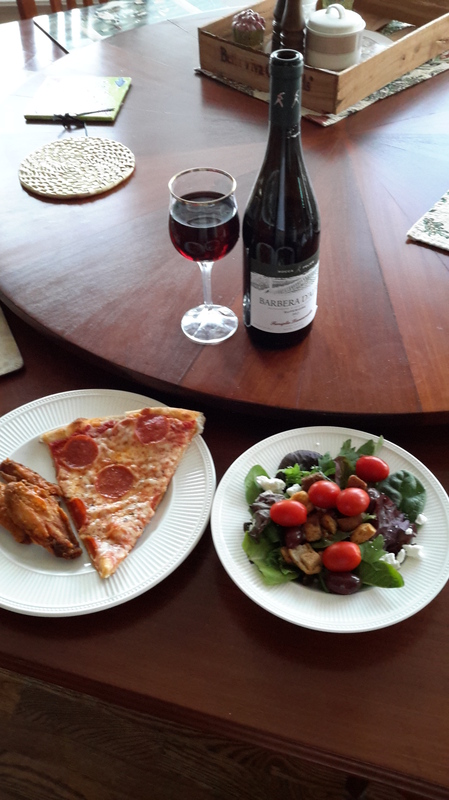 Friday night is pizza night, add a Barbera and make it great.